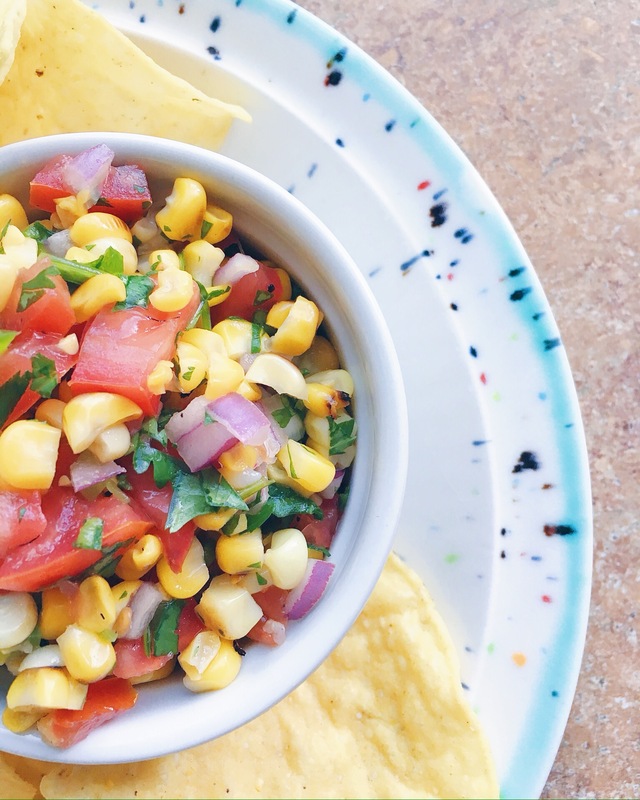 Eric likes to surprise me every once in awhile with a new recipe he’s been wanting to try and last year for one of our stay-in date nights he made the most delicious grilled corn salsa, and it was incredible! 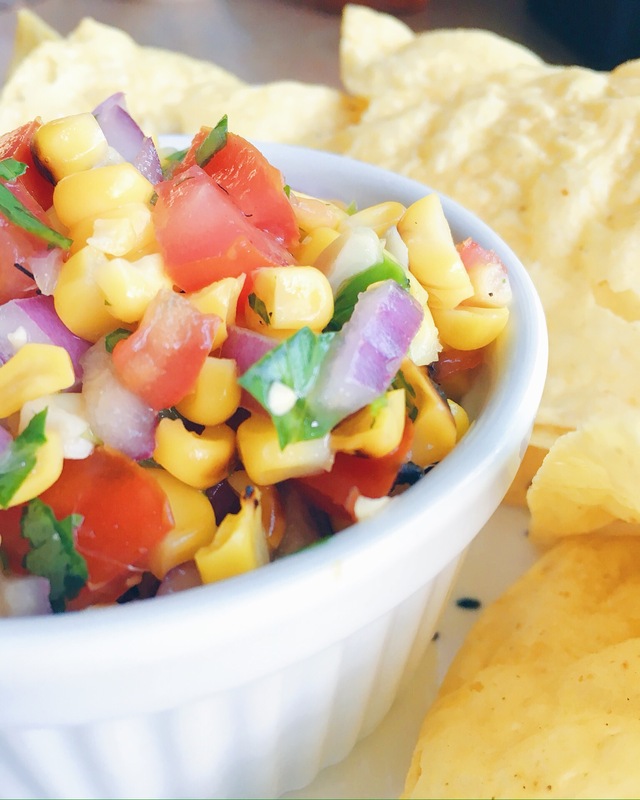 We have been wanting to make it again and now there is finally fresh corn on the cob in the markets and we just got a new grill so it was perfect timing to grill up a batch of corn and make this salsa. oh yes! 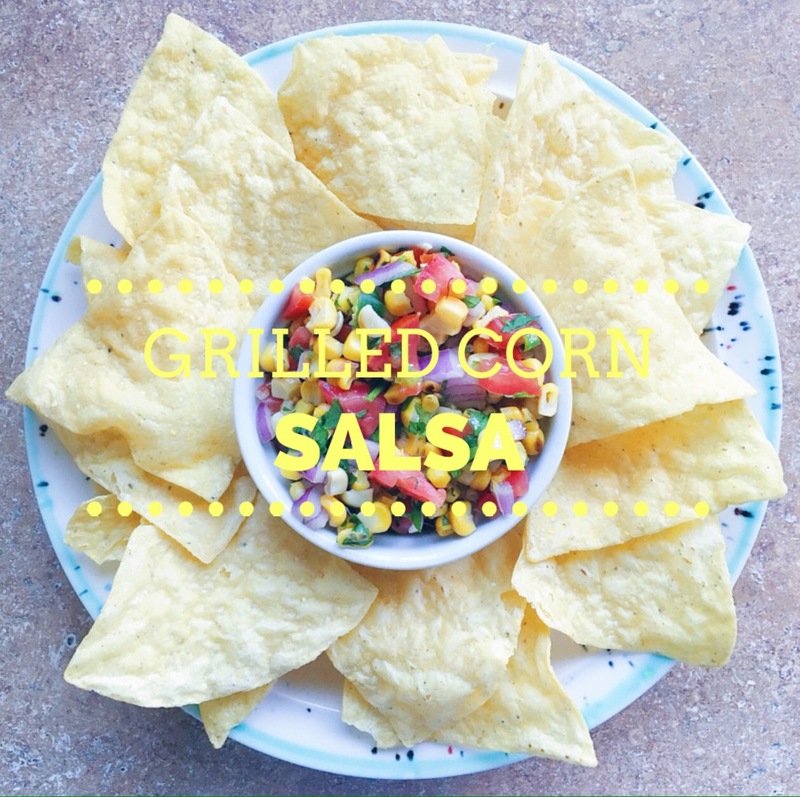 The night we made this salsa we had it as a chip + dip appetizer and enjoyed it over burrito bowls we made for dinner. 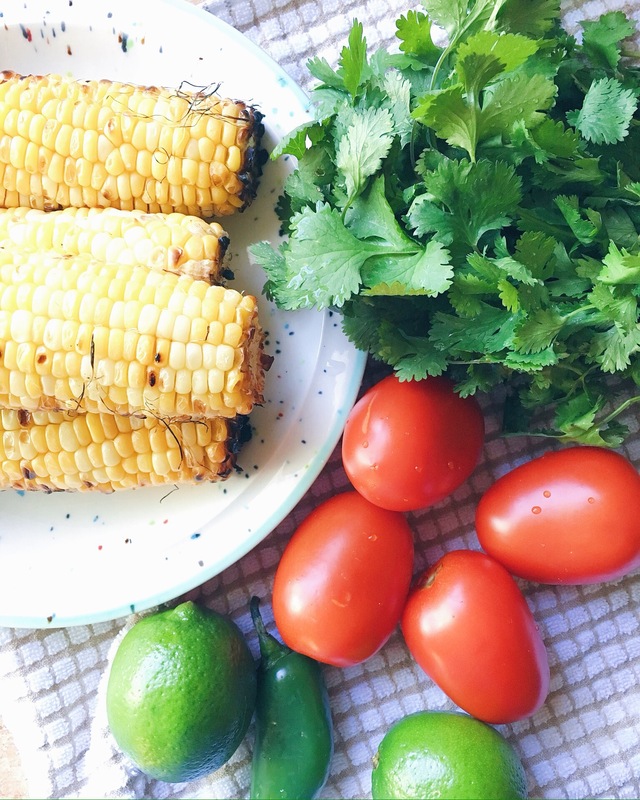 This grilled corn salsa would also be so great over a Mexican inspired salad, in tacos, over fajitas, in burritos or wraps or anything you want to enjoy with a fresh, colorful, sweet and spicy corn salsa. 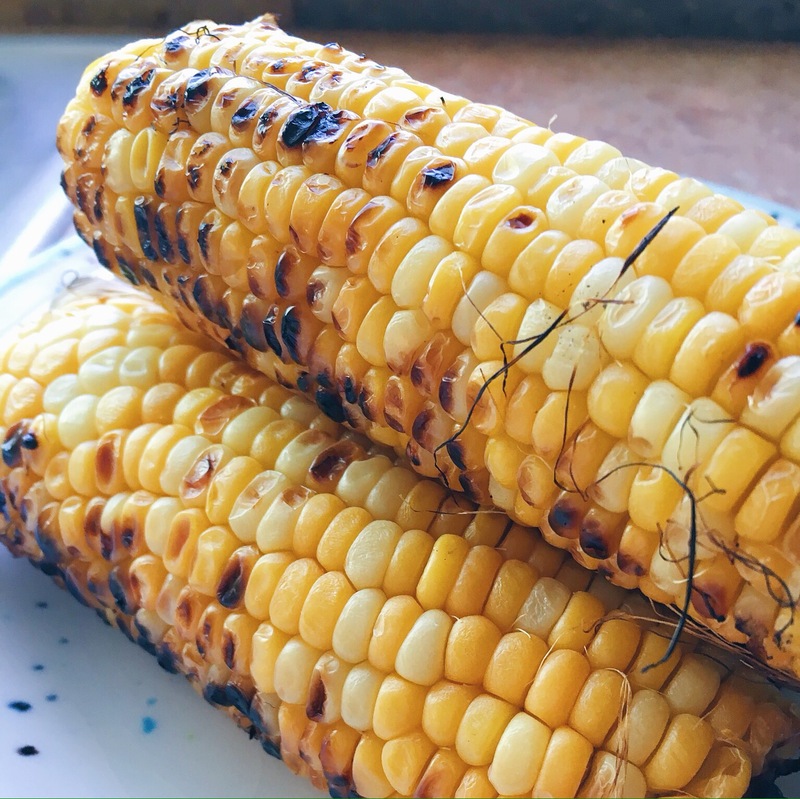 Grill the corn until it is cooked through and has grill marks. After the corn is grilled and has cooled to touch, cut the kernels from the cobs and put into a medium size bowl. 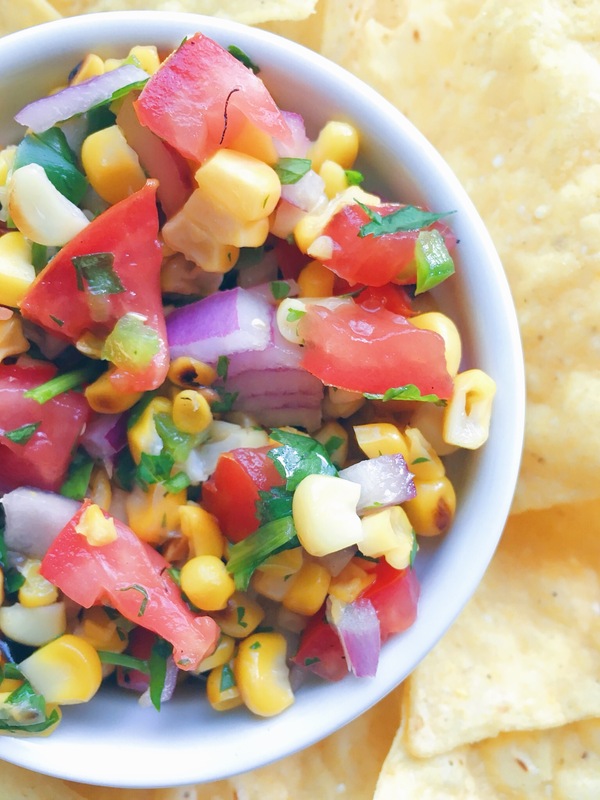 Dice the tomatoes and onion, roughly chop the cilantro and add to the bowl with the corn. Slice the jalapeno in half, cut off the stem and remove the seeds and white membranes, dice it very finely and add to the bowl. Add in the juice of the lime, olive oil, red wine vinegar and a sprinkle of salt. Give it all a good stir until it is well combined. 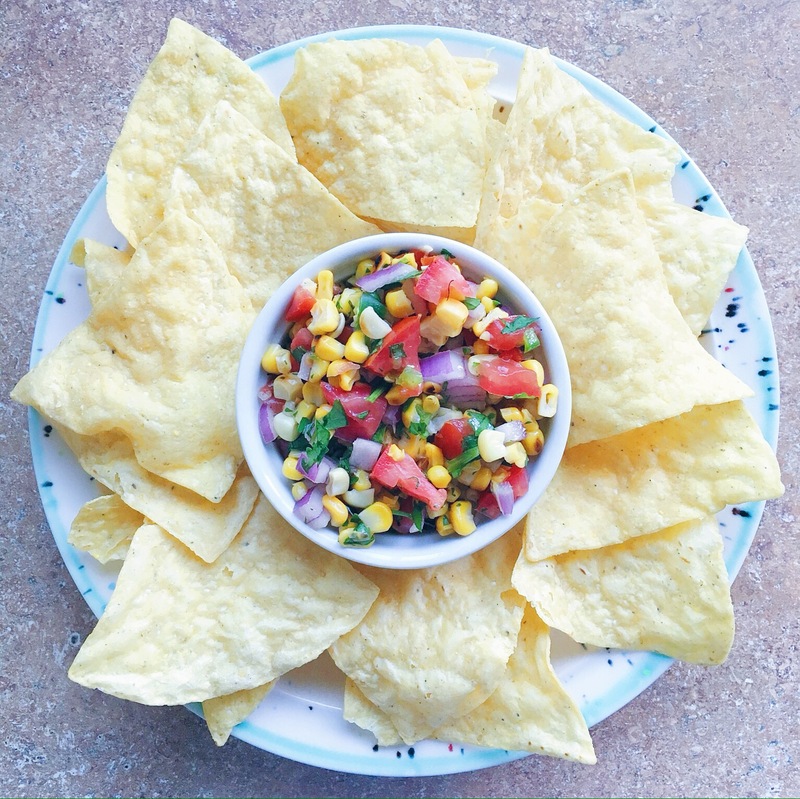 Give the salsa a taste test with chips and adjust salt or vinegar as needed. 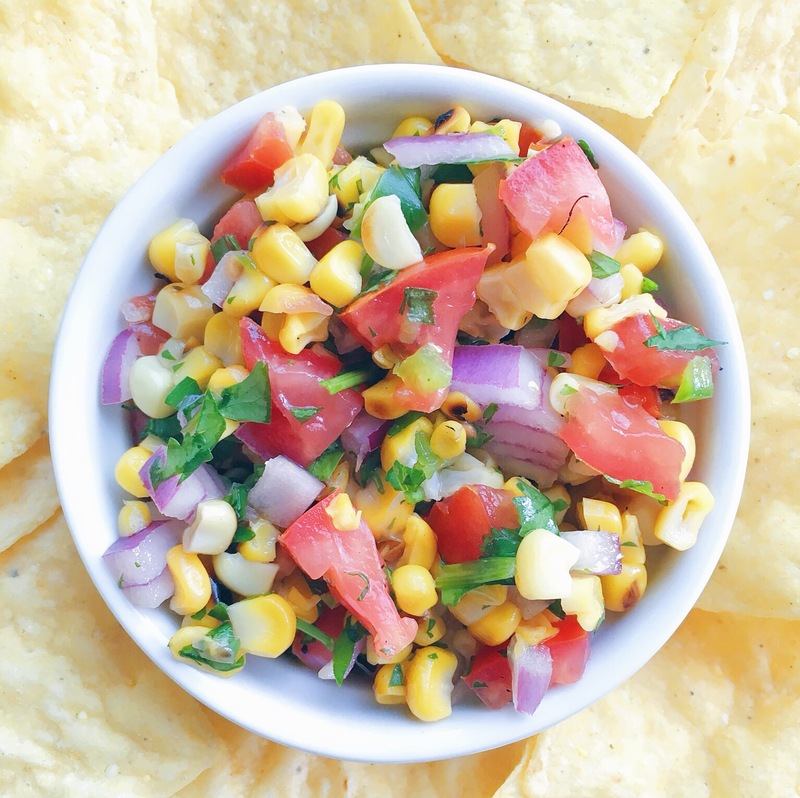 Let the salsa chill in the refrigerator for 30 minutes before serving.